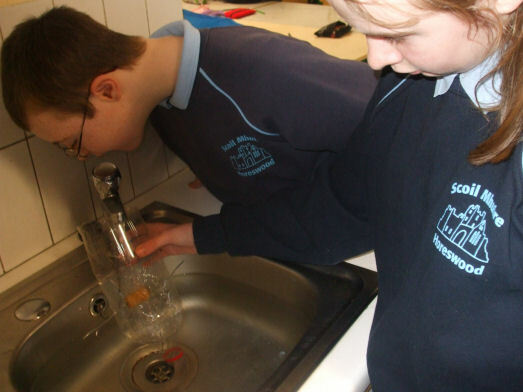 melting as they make Rice Krispies in their Science lesson. 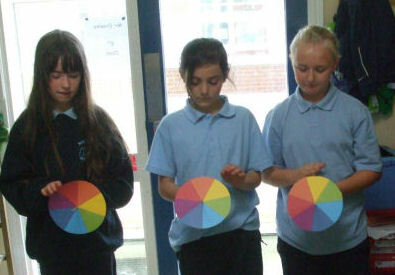 Sept.10: Fifth class have been learning more about light in Science. 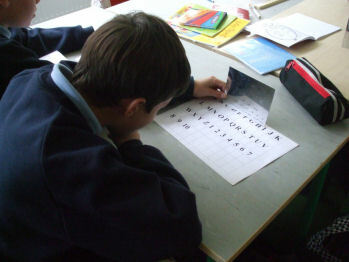 Left shows the girls finding out about the colour spectrum using a colour wheel and right shows Eric examining the reflections of the alphabet in the mirror. 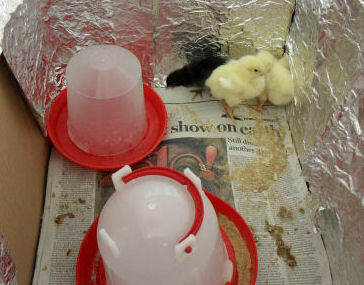 Don't count your chicks before they have hatched! 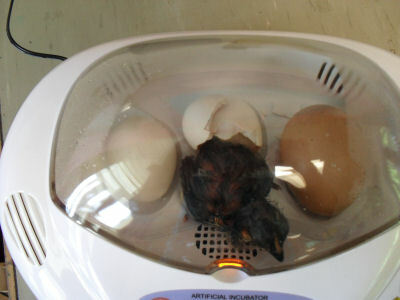 Well Rang 4 welcomed their chick Shelly into the world recently and below she is joined by friends Alby and Eggward. 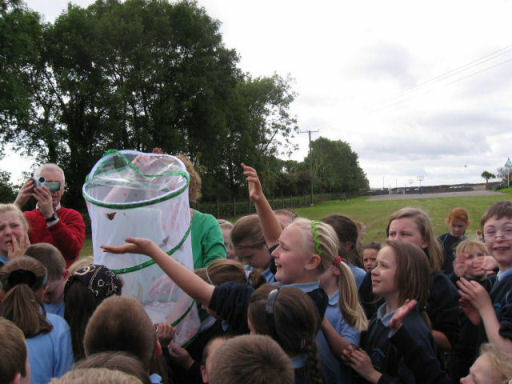 Butterfly Farm: Ms. Walshe's 4th class have been busy breeding butterflies from caterpillars into fully grown Painted Ladies. Here on Friday 25th Sept. they are about to release them from the pavilion.